In September of 2012, Dr Edgar Cahn issued a 90-day challenge to all Timebankers to invent projects that would lead the Timebanking Movement forward. One of those projects became the Knit-a-Network, spearheaded by an incredibly talented and dedicated activist, Stephanie Rearick of Dane County TimeBank in Madison, Wisconsin. Stephanie articulated and facilitated a vision of all Timebank coordinators, a shared space where all information, advice, and research about Timebanking could be found in a common online place. 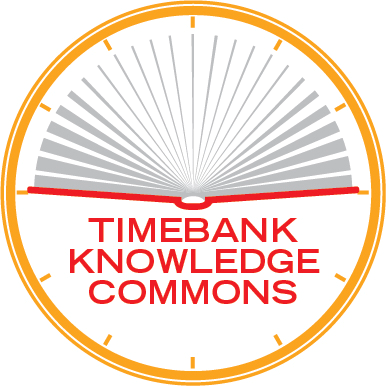 Many hands and minds came together across platforms, and even continents, to facilitate the Timebank Knowledge Commons. It is housed by Communitiy Currencies in Action, a project of the European Union. Efforts are underway to steward this information, from cataloging and indexing pages to arrangements and funding for permanent curators and mirror sites in the future. If you would like to help in any way, click here!